Regatta history made at Clifton Bay! 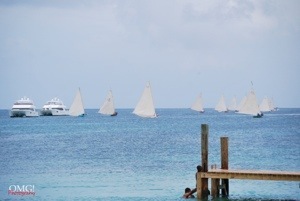 For the first time ever, Bahamians were treated to a sailing regatta in the much talked about Clifton Bay. 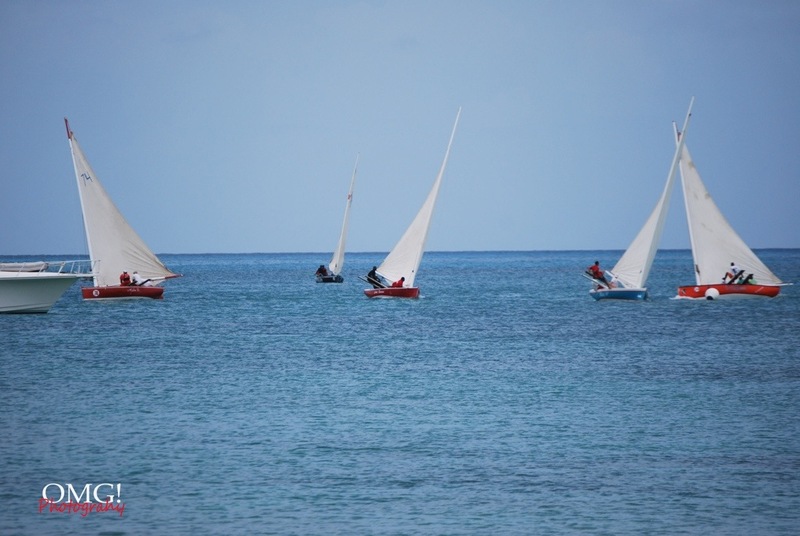 This was historic as a sailing event had never taken place in the beautiful bay located off the southwest corner of the island across from Lyford Cay. Fashion mogul and billionaire businessman Peter Nygard opened his doors to countless Bahamians so that they could witness history from Nygard Cay, but the scene of the regatta was Jaws Beach which is just across from Nygard Cay. “I’ve been here for 40 years and this is the first time that Bahamians got a chance to come out here and enjoy the beauty of the water and the scenery. So I’m very excited”. 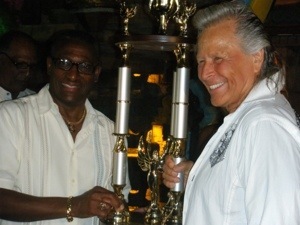 Sixteen boats competed in the historic event at Clifton Bay, and the winners were presented with their trophies at an Independence Party at Nygard Cay following the competition. a unique format in that the boats participated as they do in the international competitions. event on the Asue Draw Thunderbird, which is owned by Rev. McPhee. The regatta was only for Class C boats, as the organizers felt that the conditions were better suited for sailing in Clifton Pier. 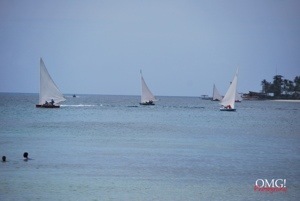 The regatta went on just as expected and it was a beautiful experience. brother for his continued support of the Bahamian public. Nygard welcomed the Bahamian sailing community to Lyford Cay on Independence Day and he hopes that the Bahamas Government will proclaim, once and for all, sailing as the national sport of the country.